A good sci-fi adventure is all sorts of enjoyable. Lovable characters, zany trips and just a general sense of whimsy can be sensed by the reader. And since Guardians of the Galaxy, all those characteristics appear on full display in more and more works; works such as Rocket Salvage from Archaia. 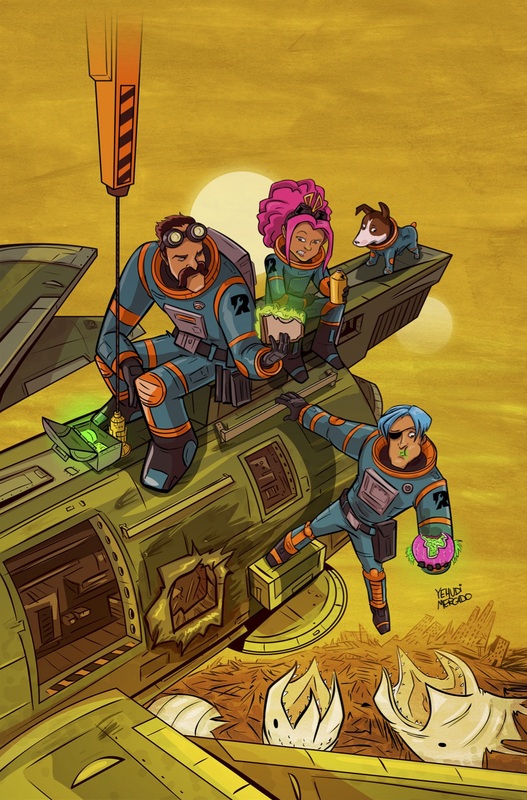 Writer Yehudi Mercado and artist Bachan give new meaning to the term “space race” with this six-issue limited series about a disgraced former rocket racer named Primo Rocket and his clone kids as they take off across the galaxy to escape the alien gangsters targeting them. 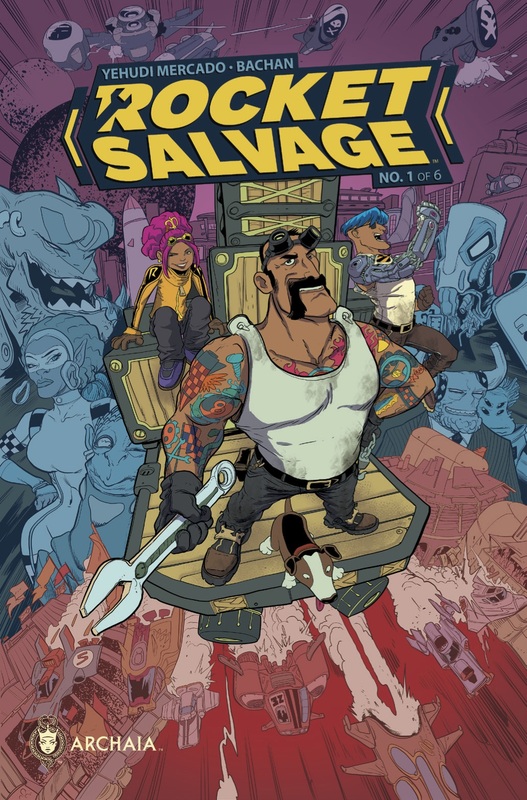 Rocket Salvage #1 arrives in comic shops from Archaia on December 17th with a cover price of $3.99 under Diamond order code OCT141161. The main cover is illustrated by series artist Bachan, with an incentive cover by Mercado. The Final Order Cutoff deadline for retailers is November 24th. Full press release below. November 19th, 2014 (Los Angeles, Calif.) - Archaia, an award-winning imprint of publisher BOOM! Studios, invites you to pull on your racing gear and rev up your engines this December for the new sci-fi adventure series Rocket Salvage. Creator/writer Yehudi Mercado (Guardians of the Galaxy: Universal Weapon; Pantalones, TX) and artist Bachan (Imagine Agents) give new meaning to the term “space race” with this six-issue limited series about a disgraced former rocket racer named Primo Rocket and his clone kids as they take off across the galaxy to escape the alien gangsters targeting them.